We presented for the second year in a row to the Xavier Women of Excellence alumni community at their annual conference. This year the topic was Addressing and Elevating Gender Issues, where we provided a picture of the current landscape of gender inequity in the workplace thanks to amazing current research. 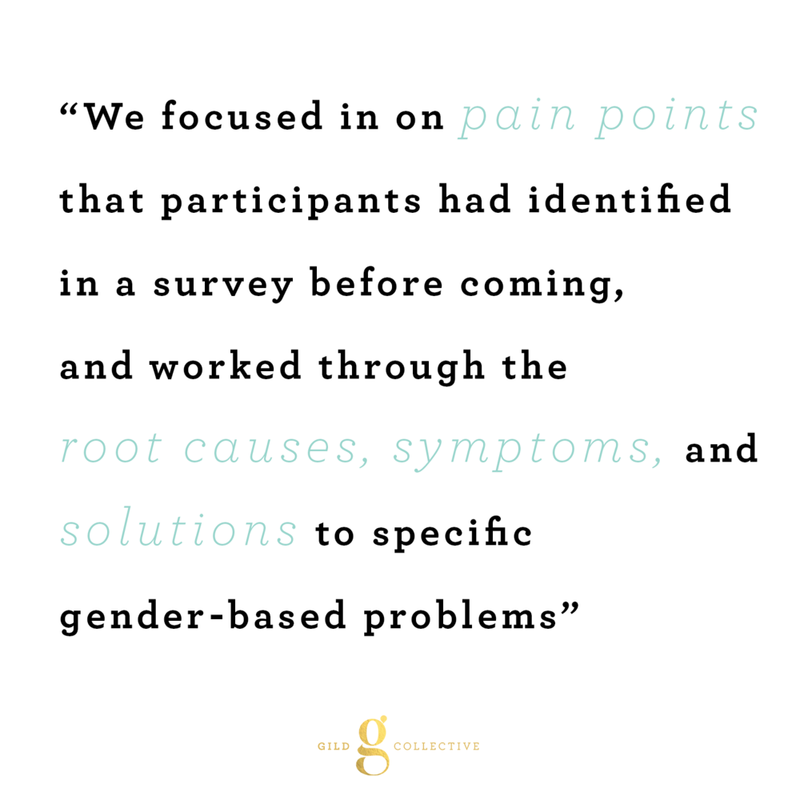 From there, we focused in on pain points that participants had identified in a survey before coming, and worked through the root causes, symptoms, and solutions to specific gender-based problems. Our main focus with this session was to create actionable plans to make improvements to culture and awareness that participants could take back to their organizations. We created our newly improved leather traveler's journal– a lasting reminder of the important conversations that we had, and a place to document our journeys toward gender parity. Newer PostCase Study: Brighton Center, Inc.